It’s brand new, completely updated with the very latest facts, figures and tidbits about life and living on Okinawa. 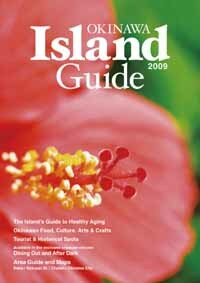 The 2009 edition of Okinawa Island Guide is now on newsstands and in bookstores across the island. 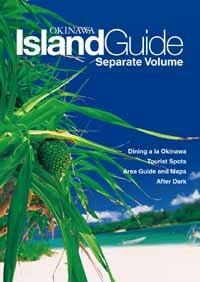 Published annually by Okinawa Index, it ventures into depth on many topics to inspire longtime residents to explore all of the out-of-the-way spots of Okinawa, while it serves newcomers perfectly as a handy reference for their new life on island. its peoples’ longevity. There’s also valuable information on the dozens of outer islands in the prefecture, all of which are accompanied by pages of large color photographs. This year’s edition also includes a restaurant guide section. night clubs, bars and live music clubs. enclosed with the book. There’s also information on bus routes, monorail and the Okinawa Expressway. Okinawa Island Guide is available for $13.50 at AAFES PX/BX facilities at Camps Hansen, Schwab, Courtney and Foster, at the Kadena BX, and at Shoppettes on Kadena Air Base and Camps Kinser, Shields, Lester, Futenma and Courtney. The Guide is also available at all USO Centers, and at Turtle Bookstore and other major bookstores off base.